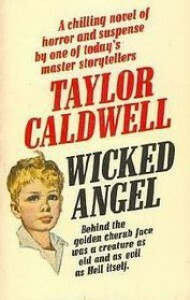 Wicked Angel by Taylor Caldwell - Passionate about Books! The mother wasn't any better. Thank goodness it was fictional. (I hate to think that there might actually be children like this in the world).